Tiger Woods I'm Working for Donald Trump! 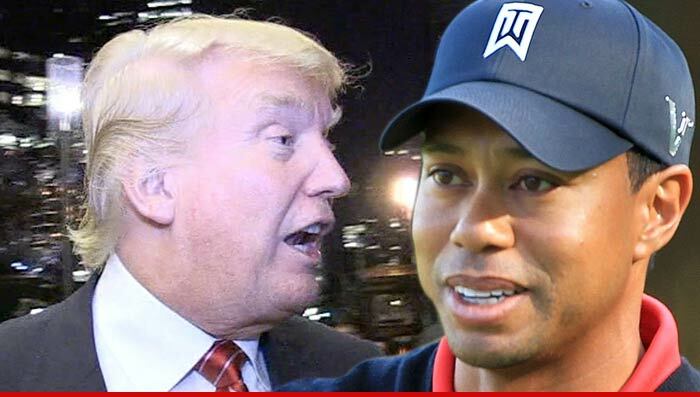 Tiger Woods -- I'm Working for Donald Trump! Donald Trump is betting some serious cash on Tiger Woods -- hiring the golfer to design an 18-hole course at his massive property in Dubai. Trump announced the partnership this morning ... saying Woods "will be a tremendous asset in developing the course at the Trump World Golf Club, Dubai." Donald is taking a pretty big chance with Woods -- since Trump has a reputation for running some of the nicest courses in the world. Tiger is new to the design game -- with his first course to open in Mexico by the end of the year. Both Trump and Woods are gunning to open the course by 2017.